Actualizado el 11 de febrero, 2019 - 07.00hs. MUSCAT, Oman and NORTH CANTON, Ohio, Feb. 11, 2019 /PRNewswire/ -- Sohar International, a world-class Omani service company operating in the banking sector, is providing its customers with new, digitized self-service solutions from Diebold Nixdorf (NYSE: DBD), a world leader in driving connected commerce. As part of its digital transformation strategy, Sohar International has purchased a mix of automated teller machines (ATMs) and cash-recycling technology with the latest Microsoft® Windows® 10 operating system. This solution will enable new devices and innovative solutions to enhance consumers' experiences and improve and modernize the way consumers engage with the bank. This represents the first Windows 10 implementation on ATMs in the Middle East. Sohar International Deputy General Manager of Information Technology and Alternate Channels Mujahid Al Zadjali said, "In our journey to redefine banking, we are pleased to partner with Diebold Nixdorf to become the first bank in the Middle East region to implement Windows 10 on ATMs. We continually seek innovative solutions to build upon our existing digital infrastructure to unlock new opportunities for the bank while elevating the experience for our valued customers." 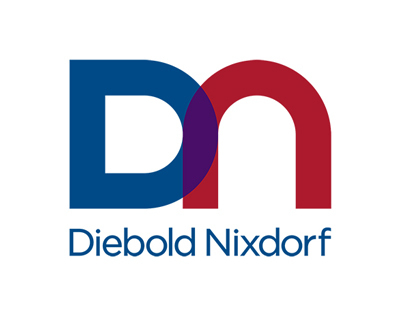 Sohar International also implemented Diebold Nixdorf's Vynamic™ Security software suite, which includes intrusion protection, access protection and hard-disk encryption for its new Diebold Nixdorf ATMs. Vynamic Security provides a tightly integrated, multi-layer approach in order to protect self-service terminals, operating systems and customer data against historical and newly-evolving attack vectors. "We are excited to partner with Sohar International to provide their customers with advanced solutions designed to enforce the banks digital transformation strategy," said Osama Awad, area manager, Oman, Diebold Nixdorf. "With Vynamic View, we can help the bank achieve their goals of increasing the availability of their ATM network and improving overall customer satisfaction, and by migrating their self-service network to Windows 10, they can enhance their customers' experience at the ATM even further." With the objective to become a world-class Omani services company that helps customers, community and people to prosper and grow, Sohar International operates with a view to help people 'win' by delivering responsive banking for their ever-changing world, complementing their growth and prosperity with international standard service delivery. The Bank seeks to redefine banking in Oman through transformational developments centered on the principles of More Velocity, making everything simple and fast; More Value, ensuring relevance and connectivity to customers' world; and More Vision, liberating stakeholders through talented leadership.